Dr. Jejelola Ladele is a Consultant Paediatrician with experience in newborn, child and adolescent health. She obtained her primary medical degree from the Olabisi Onabanjo University Teaching Hospital, Sagamu in 2008 and proceeded to the Lagos University Teaching Hospital in 2011 for her residency programme. She was awarded the Fellowship of the National Postgraduate Medical College of Nigeria (Faculty of Paediatrics) in 2016 following completion of her residency programme and also received the award for the best graduating resident. She has worked passionately with children in various settings providing preventive, curative and rehabilitative care. 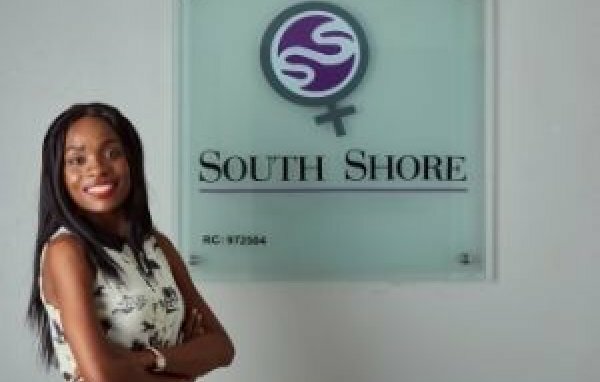 Now working with South Shore Women’s and Children’s Hospital in Lagos as the Consultant Paediatrician. Plot 1717 Mike Adenuga Close, Off Adeola Odeku Street, Victoria Island,, Eti-Osa, Lagos, Nigeria. Kofo Abayomi, Victoria Island, Eti-Osa, Lagos, Nigeria. Still Waters Garden Est. Lekki Penninsula II, Eti-Osa, Lagos, Nigeria. Broad St, Lagos Island, Eti-Osa, Lagos, Nigeria. Ozumba Mbadiwe Street Victoria Island, Eti-Osa, Lagos, Nigeria. Plot1, Block 128B, Remi olowude street, Lekki Phase I , Eti-Osa, Lagos, Nigeria. 52, Agungi Ajiran Road, 4th Roundabount,, Eti-Osa, Lagos, Nigeria.